Life is underrated. I hear too many people who constantly dwell on the negative things in life, and I want that to change. I believe in happiness. If you only get one life to live, I want to live it happily. This post ties into my thoughts on Mental Health Awareness Week, so I decided to share five new ways you can incorporate happy habits into your life. Some of the activities listed help overall mental health, which in turn will lead to a happier you! 1. Creative expression. I can’t tell you how important this one is. Sometimes, we all just need to vent, and while talking it out works some of the time, there are plenty of alternatives. I recommend weekly creative expression; whatever that means to you. To me it means painting, crafting, designing, singing, dancing and even writing (yes, this blog doubles as therapy to me). Use the left side of your brain more often; let your imagination run wild. I’ve been told that when I was a kid I was very imaginative. I still believe that is true about myself, and I hope I never lose sight of it. My favorite quote about creative expression comes from Robin Williams, “You’re only given a little spark of madness, you mustn’t lose it." 2. Think happy thoughts. This is something that I (fortunately) learned at a young age. You can’t count on the rest of the world to give you a good day. No matter what goes wrong, or how many times other people’s actions bring you down, you have to keep your head up. You still have the power to smile, to be positive, and to be optimistic that things will get better. 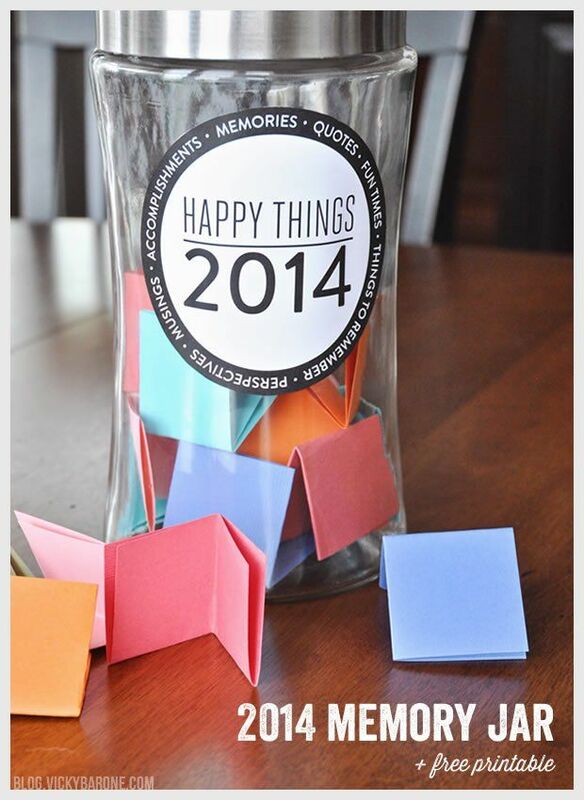 A couple of years ago, I started keeping a ‘happy jar,’ an idea I found on Pinterest. Basically, every time something happy happens in your life, you write it down and stick it in the jar. If you’re having a bad day you can cheer yourself up by reading all of the wonderful things you’ve experienced. My mom likes to make a point to leave the office for the day with a happy thought in mind. So often by the end of the day, we are weighed down by all of the problems that have accumulated over the past nine hours. Instead of going home feeling negative and upset, try and remind yourself to focus on at least one good thing that happened during the workday. For more helpful ideas, read Lauren Conrad’s fabulous blog post on 10 ways to boost your confidence. 3. Meditate. I’m definitely not an expert on this subject. I don’t know how the Buddhist monks do actual meditation (you can read a how-to on it). When I go to meditate, I will start by clearing my mind. It can’t be done just by snapping my fingers, though. It takes careful practice, because usually I have a million things I’m constantly thinking about. So, the best way I’ve found to make your brain be quiet is to let yourself think. Seriously. Close your eyes, sit in a comfortable position (I prefer the classic pose), and think about everything buzzing around in your head one by one until you have nothing left to think about. Then your mind will actually relax. I think a lot about my breathing rhythms as well. Even if you don’t know what you’re doing, taking a few minutes a day to try and get your mind off of stressful things will do wonders for your mental health. For an extra happy boost, try meditating outside. Communing with nature and soaking up the sun’s vitamin D can make you feel rejuvenated. 4. Exercise your brain. Sometimes, when you have a lot of things stressing you out and making your mind race, the best thing to do is redirect your brain's focus on something else. I love doing crossword puzzles and playing similar puzzle games (Candy Crush had me hooked for a while). I also love Lumosity, a brain training company that makes customized brain ‘workouts.' I used to check in on Lumosity daily to keep my brain on its toes. Lumosity also tracks statistics and uses neuroscience to improve brain functions such as speed, attention and memory. I highly recommend trying it out; you can get a lot out of the free membership (if you can spring for it, though, the paid one is worth it!). Challenging yourself to think in different ways can give you fresh perspective and improve your mood. If you feel stuck on something in your life, give it a break and exercise your brain so that you can come back to it later with a sense of renewed confidence. Lumosity will give your brain a 'Fit Test' that will rank you among their 50 million members. 5. Put yourself first. It’s okay to be selfish sometimes. At the end of the day, it’s your life! Carve out personal time to check in with yourself, and encourage yourself throughout the day. Be your own cheerleader and your own best friend. Set goals with only yourself in mind. Put yourself first more often. You’ve gotta look out for number one, that’s you! I’m not saying you have to rush out and change your life, but why wouldn’t you want to spend your time on the Earth being anything but happy?